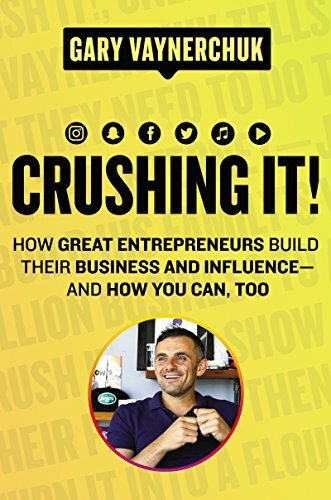 So excited to do this review of "Crushing it" by Gary Vaynerchuk, this book is excellent. I was blown away reading this book. Where have I been? I didn't really understand the value of building your personal brand until I opened this book. It is MIND BLOWING. Make sure to watch and let me know what take aways will help you take your business to the next level. Make sure to subscribe to my YouTube channel as well. Firstly, if you’re not following him on social & you’re a business owner- you’re missing out. Why you ask? Because he knows his stuff when it comes to branding, business, & social media. Especially in the current landscape. SO- HE CREATED HIS OWN FUTURE. Grab Your Copy from today!